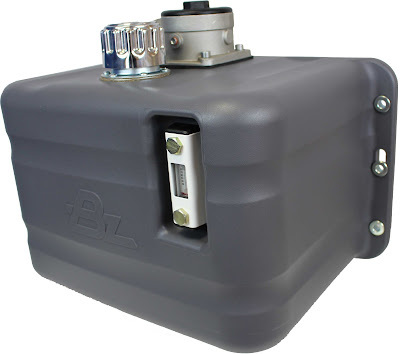 We proudly present our new 30 liters oiltanks for side mounting. Manufactured in high density linear polyethylene with UV protection, which provides high durability and low weight. They are also equipped with oil filter, filler cap and level with thermometer. With a more modern design, this new reservoir will soon replace the deposits with part number 90PS03T, renewing our side tanks in polyethylene line. The FR 60 pumps will include a suction fitting for Ø2" pipe instead of the current Ø1 1/2" pipe which will still be available on demand. The Ø2" suction fitting reduces the fluid's speed and ensures proper pump feeding for any application, guaranteeing the pump's optimal output. This fitting is pre-installed on all FR-60 pumps manufactured from January 2017. If you prefer, you can also order this fitting separately with the code 9035016. For more information, please contact our commercial department. Responding to market demand, Bezares is introducing the new By-Pass without relief valve for bent axis piston pumps. This new version, intended for use in circuits that already have relief valve, eliminates the integrated cartridge, thus offering a simpler and economical solution avoiding the redundancy of relief valves. We incorporate at our manufacturing plant a new vertical honing machine with 4 spindles head and 6 positions table. With a compact design, this machine is provided with a 10HP spindle motor, feed system with servo motor / ballscrew for vertical positions adjustment, faster table indexing times and column shift. 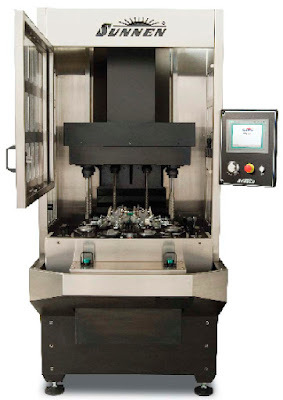 Mincing, short run or repetition operations can be easily added through its touch screen controls, it is also possible to change the spindle and column speeds or program it to include complex profiles. Its tools allow you to drill and finish holes at once with an accuracy of up to 0.1 microns and allows loading and unloading automation by robotic interface. With this new machine Bezares will increase its productivity and machining accuracy, resulting in reduced delivery times and better quality products. 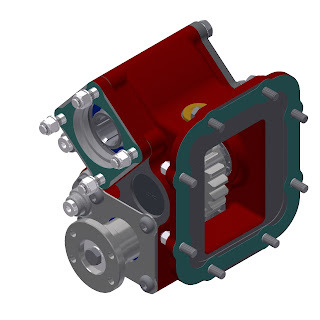 Bezares have developed a new reinforced front PTO, with rotated output for Eaton, Mercedes, Volvo, ZF (Ecosplit, Astronic, TraXon) gearboxes with our integrated aluminum flanges. 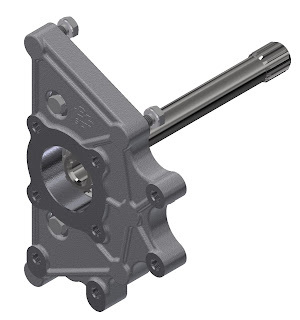 Its rotated 4 holes output, with the possibility of an additional 5th screw to improve heavy pumps support and two air inlets to avoid potential interference with the vehicle during assembly of the PTO. It also allows bayonet or pressure switch mounting. One year after the launch of our Bull 3500kg winch, with great market acceptance, we proudly announce the Bull+ 3500 and 4600 enhanced versions, with a new cable fastening system, similar to that we have at the BZC family. 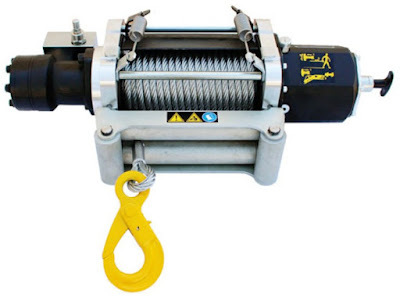 This way, the Bull winches will offer the same safety standards than the flagship BZC winches. This development reinforces Bezares' commitment to safety and continuous improvement of its products. For more information, pricing and availability, please contact our commercial department. Bezares has developed a new pneumatic clutch to allow remote operation of the Bull winches, adding convenience and efficiency in the operation. 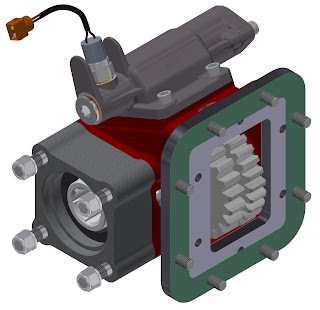 As in the traditional mechanical clutch, this pneumatic clutch has 360º adjustable air inlet and electric end of stroke valve that can be incorporated into the control circuit to display correct engagement / disengagement signal, thereby increasing safety at the vehicle's collection operation. The new pneumatic clutch is included in the Bull + winches with part numbers 9033325 and 9033925. In addition we provide a remote operation kit that can replace the mechanical clutch originally supplied with your Bull winch, by this new solution (part number 9030025). For pricing and availability, please contact our commercial department. Reaffirming our commitment to continually improve our product range, we announce the new BZC+ winches. This evolution of our flagship recovery winches line features a new cable press with a modern design, similar to that currently included in the Bull and Bull+ models. The new cable press is a surface-based based system rather than rollers, guaranteeing a better pressure distribution in both the cable and the cable press, reducing wear and ensuring greater durability of the whole system. Contact our commercial department and we will be glad to offer more details and prices. Bezares SA is proud to summarize our participation at the 65th IAA Commercial Vehicles, the world’s leading trade fair for mobility. We where there, with a large number of exciting innovations in our product line as in his presentation at our booth. Between the many news and developments shown at our booth we could highlight the new shaft and flange for ZF traxon and the new Engine PTO for Volvo. Our new ZF TraXon adapter kit is already available. 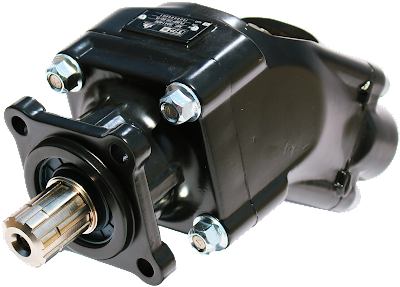 This new adapter allows direct mounting of double-output and heavy-duty PTOs fixed with 6 bolts or 1:1.53 rotated PTO fixed with an additional fifth screw that enables the use of bigger pumps reducing problems caused by bending torque on the transmission. It can also be mounted with our standard S6-90 PTOs (1:1, 1:1.30, 1:1.32, y 1:1.72) fixed with 4 bolts. The TraXon Series, composed of a modular system with compact dimenssions, offers a wide range of applications. 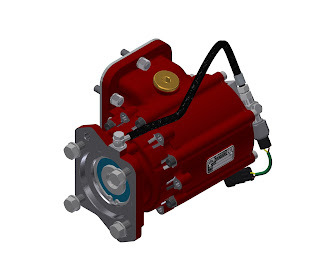 Available in direct drive or overdrive, these transmissions can transfer torques of 3000 Nm, which is interesting for heavy vehicles up to 60 tons. The new Engine PTO for Volvo D13 and D16 is already available. This PTO allows to mount a ISO 4 bolt pump on the rear right side of the motor. This PTO has a reduced number of moving parts, providing greater reliability during operation. 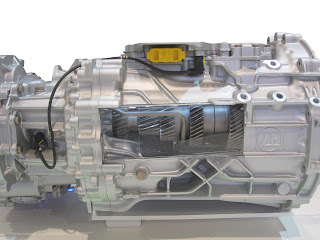 As the power comes directly from the engine, it can be used with the vehicle in motion or stopped, making it ideal for applications that require continuous operation, such as refrigerated trucks, sweepers, etc. With this new release, Bezares reinforces the commitment of expanding its PTO range providing solutions for all models and applications. 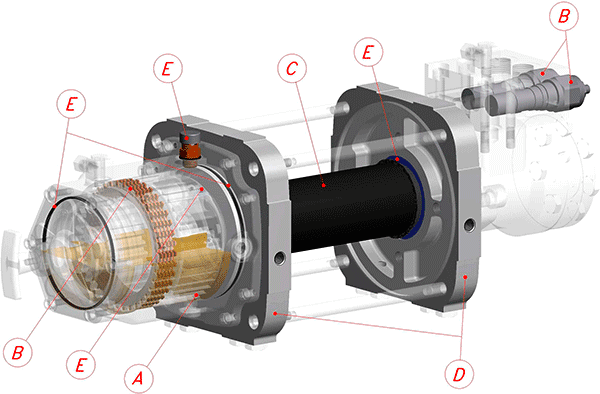 It is also possible to order it with mechanical or vacuum single acting actuators. This new pto increases our range for the Chinese market, reinforcing our expansion in Asian markets and complementing the product line used in different applications. 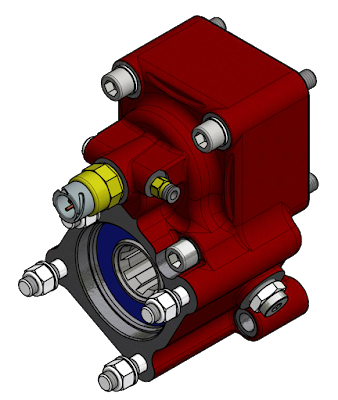 Bezares keep Developing Solutions for our Allison PTOs, as this new lubricated output shaft SAE B version for our 3300 PTO. The new 'Wet Spline' Option has the advantage of providing more wear protection on the output shaft for factors such as friction or vibration. 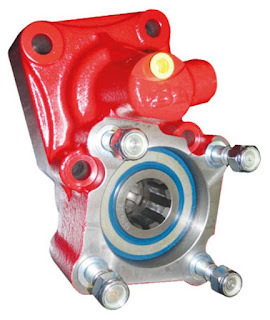 This through a new oil dipping flange into the splined shaft to the output of the PTO, thus extending the life of the PTO and hydraulic pump. Especially suitable for Heavy Duty Applications Requiring Many drives or vehicles equipped with powerful and ligh engines, being able to transmit more torque to the gearbox and therefore to the PTO. For more information, you may contact our sales department. Bezares offers tailor-made powerpacks according to customer's application. This unit belongs to a project for machinery with limited installation space (0.75kW single phase motor, pump 0.8 / rev, 1.5L plastic tank and various modular valves: non-return valve, flow control and directional CETOP 03 valve). Our tailor-made mini powerpacks offer a quick way to install the ideal system for your application, eliminating the adaptation need and reducing the assembly and maintenance time. For more customized solutions, please contact our sales department. Expanding our PTOs range, we have developed the new pneumatic power takeoff for Hino MX06/6.515 and MX06/7.305. 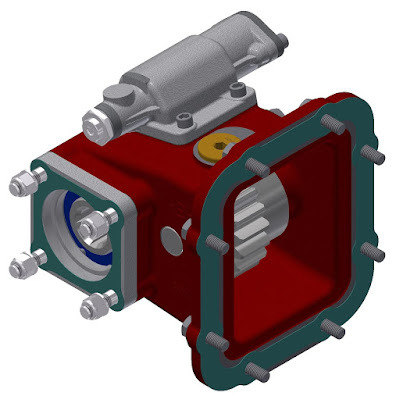 It has a great placement for ISO 4 holes large pumps assembling and is available with flange output version, for transmission connection. 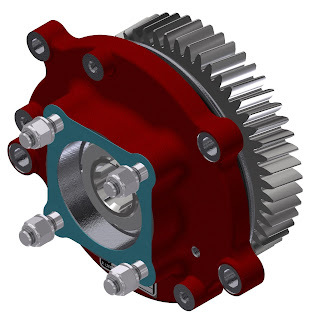 This new constant mesh and two gears PTO is able to transmit 350 Nm of max. torque in continuous operation and 27kW of power @ 1000 rpm. Mounted at the transmission's left 8 holes window, it is developed for its use in Hino 500, FG 235 4x2 series vehicles, among others. For more information , please contact our Sales Department. Bezares presents its new series of steel tanks for rear mounting (behind the cab) with a narrower design which allows better use of the vehicle's space. This new range consists of four sizes between 100 and 200 liters, are designed with internal partitions to prevent abrupt content movements, incorporating filter mounting flange, filler cap, level indicator and mounting brackets as standard. The oil filter is optional. For more information please contact our Sales Department . These new deposits are in its final testing phase and will be available in the second quarter of 2016. After several months of extensive testing, our new compact and lightweight winch up to 3.5 tonnes, Bull 3500 will be available in late March. Its optimized design summarize the Bezares experience designing and refining its winch technology, with special focus on improved efficiency, compact housing, reduced weight and internal parts number without sacrificing its performance, resulting in the Best technical features in a reduced unit. Less internal components, reducing unit maintenance. B. Bi-directional. Flexible installation. Full load retention through negative brake by means of an overcenter valve and sintered bronze brake discs. E. 100% protected against pressurized washing machines. Bezares USA will be attending the North America's largest Work Truck Show event, as we continuously do since 2000. Our booth will showcase our newest Allison PTO units, including the new Allison 3131 Rear Pump series and our new hydraulic cylinders line, among many other new PTOs and hydraulic products. 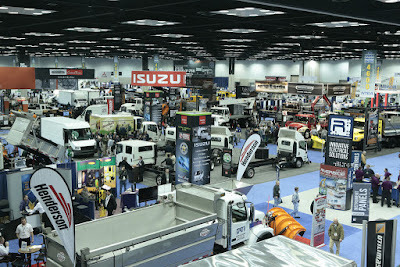 The Work Truck Show 2016 kicks off on March 1st with the Green Truck Summit and a robust educational conference with more than 60 sessions designed to help attendees improve their operations, while the event's more than 500,000-square-feet trade show floor features the newest vocational trucks, vans, vehicle components and equipment. In our commitment to constantly evolve our hydraulic product line, we have developed the new dual output PTO for Hino M009 DD/OD. 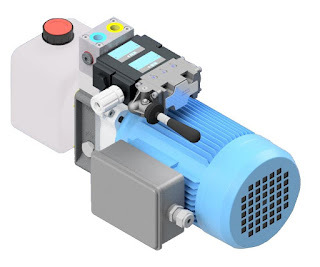 This new PTO has the same internal ratio on both outputs as well as pneumatic actuator, which allows working with each output independently or with both outputs simultaneously. The first units will be available during the first quarter of 2015. In order to improve our product's quality and reliability, we recently added this heavy duty CNC lathe with thermal stability, high constructive precision and a high automation. The machine has the latest developments in machine tools technology, with integrated main spindle motor, powerful secons spindle and a 12 position motorized turret, that enables quick position changes of the pieces, as well as turning and milling tasks with synchronized movements. This CNC lathe includes automatic piece transfer, thus eliminating intermediate stages and ensuring optimum dimensional stability, with excellent finishing, by a complete machining process without outside intervention. Thanks to this investment Bezares will ensure a higher quality and durability of our products. Bezares will participate as expositor in the International Fair of Agricultural Machinery (FIMA) 2016 to be held at the Feria de Zaragoza from February 16 to 20. We will showcase our latest releases as well as our line of TDZ agricultutral products, where the latest machinery for the agriculture sector will become the undisputed star. In its 39th edition, the International Fair of Agricultural Machinery expects more than 230,000 visitors from 64 countries in more than 135,000 square meters with more than 1,250 exhibitors, which means an important increase compared to the previous edition. FIMA establishes itself as the largest agricultural appointment in Spain and one of the main references in Europe. Bezares attended the sixteenth edition of Expo Transporte ANPACT 2015, held in Guadalajara (México) between November 18th and 20th, as exhibitor. 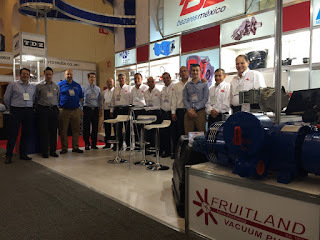 This is one of the fairs with a biggest exhibition area in México, taking up to 51,000 square meters during this edition and allowing visitors to discover all the technological improvements directly from the manufacturers. 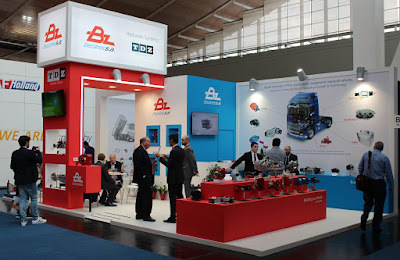 Bezares has showcased their latest releases in PTOs, hydraulic pumps and hydraulic equipment and would like to thank the presence of their customers and partners.